Are you thinking of chopping down that pohutukawa tree blocking your ocean view? Before you fire up the chainsaw, you might want to check whether the tree is protected. Three recent cases are a reminder that felling or damaging protected trees without permission can have serious legal consequences. In March this year a landowner was fined $36,000 plus solicitor and court costs after his contractor cut down 110 trees and shrubs in a neighbouring esplanade reserve . The landowner had been convicted of a breach of the Resource Management Act (the RMA). the RMA. While the facts were disputed, the sentencing judge accepted the man had hired a contractor to thin and trim the trees to obtain a view from a spa pool. The contractor who felled the trees was also fined. Protection under the Reserves Act for trees and shrubs in reserves. If a tree is protected under a district plan, a resource consent will generally be needed to remove or alter that tree. Even when pruning or trimming is allowed, there may be limits on how much you can cut. A consent may also be needed to perform work around the tree, such as excavating or erecting buildings. The rules vary between districts, and between urban and non-urban environments, so it pays to check with your local authority before getting started. Tempted to chop first and worry about the consequences later? This might seem like the easy option, but it can have serious consequences. Local authorities have a range of enforcement tools under the RMA, including taking prosecutions. The maximum penalty under the RMA for an individual is a $300,000 fine or two years imprisonment, and the maximum for a corporate entity is $600,000, although these penalties would be reserved for the most serious cases. Additional penalties can sometimes be imposed. Penalties under the Reserves Act also include fines and imprisonment. For most offences, its not necessary to show there was an intention to commit the offence. This means a person cant escape conviction by saying they didnt know the tree was protected or they were unsure of their boundaries. So whats the safest approach? Its important to check the tree is within your propertys boundaries, not on your neighbours land or an adjacent road berm or reserve. If the part you wish to cut is on your neighbours land, you will need their permission or a court order. Find out whether the tree has protected status, as you may need a consent. If in doubt, you could ask us to make investigations on your behalf. Building close to your boundary can be fraught with difficulty. Is that the true boundary and, if not, what might happen if you inadvertently encroach on someone elses land? Can you legally have an encroachment? An encroachment is a structure (or part of a structure, but not a fence) that is located on or above land not intended for it. An encroachment can also be a structure placed on land by someone who is not the land owner. As an example, lets look at neighbours Mr & Mrs Smith and the Jones. The Smiths have a newly-built garage on what they thought was entirely their property. The garage was, however, incorrectly placed and it was built partly on the Jones property as well as the Smiths. This means the Smiths garage is encroaching on the Jones land. Mr & Mrs Jones are livid that the Smiths garage has created an encroachment on their land and want a settlement of some kind from Mr & Mrs Smith. Legally speaking, this will come under ss321325 of the Property Law Act 2007.  Damages: Granting of a remedy by the court does not prevent the Jones from making a claim from the Smiths for damages. The Jones claim may be due to any deliberate or negligent act by Mr & Mrs Smith regarding the placement of their garage as an encroaching structure over their common boundary. order transferring ownership of the Jones land where the garage is encroaching to the Smiths. this would be an order transferring ownership of the Smiths land on which the garage is placed to the Jones. An order granting an easement, or right of way, for the encroachment onto Mr & Mrs Jones land. An order requiring payment of reasonable compensation from the Smiths to the Jones for any of the orders above. When deciding whether or not to grant relief, the court may consider the reason why the structure was placed on the wrong land in the first place. The court will also consider the conduct of both parties and the extent to which either has benefited at the expense of the other party. The court is not prevented from granting relief due to the person having prior knowledge of the true boundaries or ownership of the land at the time the structure was placed there, or at the time they became the land owner. It is important to ensure that any structure placed on your property is confined within the legal boundary. Encroachment is a complex legal issue. If youre facing issues with a possible encroachment, we strongly recommend you are in touch with us early on. Real estate agents marketing and/or advertising a property need to ensure they have a valid listing agreement. A recent case tested the boundaries of rule 9.15 of the Real Estate Agents Act (Professional Conduct and Customer Care) Rules 2009, where a real estate agent (Mr Pollett) had been found to be advertising and/or marketing a property without a valid listing agreement. The case was an appeal to the Real Estate Agents Disciplinary Tribunal from a decision of the Complaints Assessment Committee. The situation: Under the direction of his supervisor (Mr McCarthy), Mr Pollett showed prospective clients through properties without agency agreements being in place. Mr McCarthy had either indicated that there was a listing agreement in place or told Mr Pollett that a listing agreement would be finalised if clients made an offer on the property. The decision: The Tribunal agreed with the Committee that on a strict interpretation of the legislation, Mr Polletts conduct could be considered unsatisfactory. However, Mr Pollett could have reasonably concluded that there was a listing agreement in place which allowed him to show the property in question. The Tribunal overturned the earlier decision. The Tribunal, however, went on to explain that Mr McCarthy should have ensured listing agreements were arranged (as Mr Pollett largely relied on him as his supervisor). Furthermore, the Tribunal went on to agree that Mr Polletts supervisors should have taken actions to remove the property advertised on the website before the expiry of the listing agreement. Property buyers and sellers need to be sure their real estate agents tick every procedural box. Real estate agents must also acknowledge that a high level of conduct is expected of them and their supervisors and managers. New Zealands property market: overheated or just warming up? The latest housing statistics suggest the property market is heating up. The government could claim that the introduction of various financial policies aimed at stimulating the economy have worked and give themselves a pat on the back. This, however, is not the case. Noises are coming from the government and the Reserve Bank that further regulations may be put in place regarding debt to equity ratios for housing loans. It seems counterproductive to encourage buyers, particularly first home owners, to buy property by providing incentives such as lowering interest rates to now regulate for a minimum debt to equity ratio that borrowers must be able to achieve before the banks can lend. A report was issued recently by the IMF [http://www.imf.org/external/np/ms/2013/031813b.htm] on the state of our economy. It gave our banking system a pass mark and indicated that introducing minimum debt to equity ratios should not be a long term solution. The IMF outlined that long term housing supply is the real problem to be addressed. indicate that residential house sales for March 2013 increased by 10.9% in comparison with March 2012; this equates to an additional 798 sales in March this year. When these figures are considered against the background of the economy strengthening post-GFC, along with the Canterbury earthquake rebuild starting to gather momentum, it is not surprising that property sales are increasing. These increases should not be a reason to implement drastic measures that will force many out of the market. Property owners are benefiting from capital appreciation again but this does not necessarily mean the property market is overheated. More recently it seems there is an issue with a lack of supply in the housing market, particularly in Auckland. In its Unitary Plan the region has now turned its attention towards releasing further development property into the market to build new houses and making planning allowances for further housing development. For the areas of New Zealand outside Auckland, we should all hope that the demand pressures for housing can be addressed in the short term and that changes to our banking system for the whole country are avoided, so that the lifting of the nationwide property market continues.